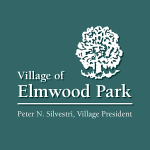 The Village of Elmwood Park is a community located approximately 10 miles from Downtown Chicago. 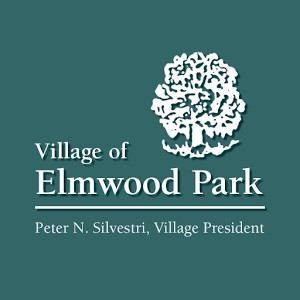 Elmwood Park is a community with almost 25,000 residents, great shopping and wonderful dining. 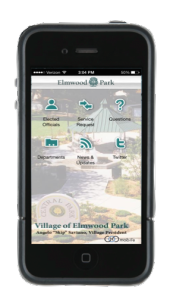 The official Elmwood Park iPhone application is a way to promote citizen engagement, further increase an already transparent Village Government, and improve the quality of life for all Elmwood Park families. 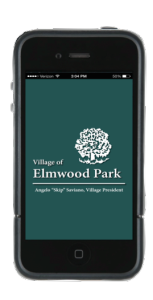 This application allows residents to easily find staff contact information, send in information to Village hall, or simply ask a question to Village staff. Additionally, this application will provide news and updates about events and other important Village news. Elmwood Park was once the home to Green Bay Packer great Ray Nitschke, as well as Hall of Fame baseball player Ron Santo.